The stars on the beautiful holm Hallig Gröde in the German National Park Wattenmeer (North Sea) are the birds. So this picture of an arctic tern is somehow the natural start for a series from our vacation in May 2003. This entry was posted in Old Stuff, Photography and tagged EN, Old Stuff, photoblog on 2003-10-11 by mj. An old friendship renewed. This photo is one of the first ones which I took 1994 in Edinburgh, Scotland. It is also one of the first images on my Photo Web Site and interestingly enough the most popular single image there. So what would be better suited as a start for my new PhotoLog project here? ;-) So I went back to the original negative, scanned it again, did some perspective correction, and retouched some speckles. Even after all these years, I still like this particular image. It captures quite well the spirit of Edinburgh, a quiet, but beautiful metropolis (except – of course! 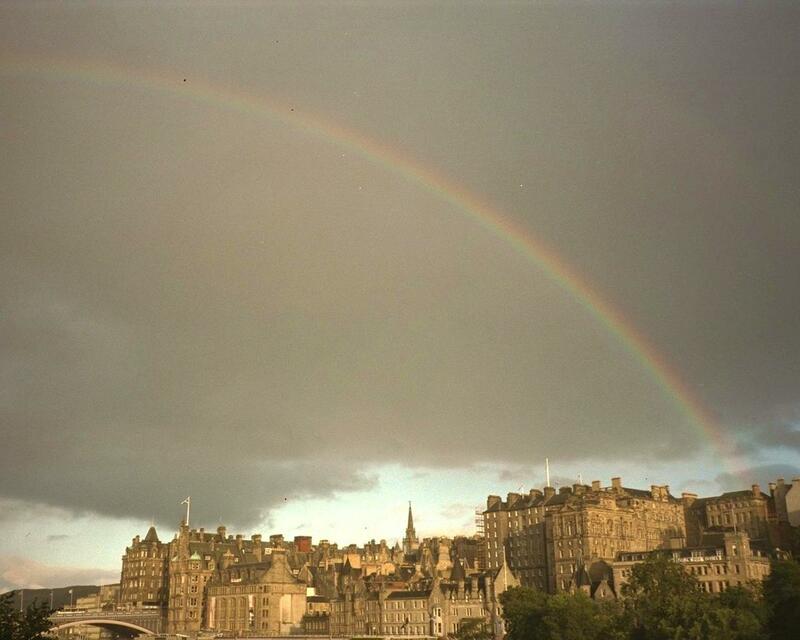 ;-) – during the Edinburgh Festival Fringe, where it is turned into a multicultural party), and the Scottish wheather, which is always good for dramatic scenery. One moment heavy rain, then sunshine. This entry was posted in Old Stuff, Photography and tagged EN, Old Stuff, photoblog on 2003-10-02 by mj.